Behind every fashion brand, there is a fascinating story which makes them so special and personal. And you might not know, but the history of Persol started 100 years ago. 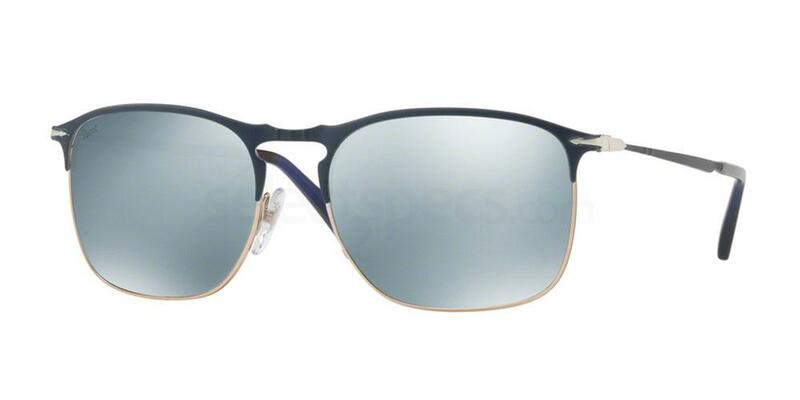 According to shadesstation.co.uk, this Italian brand was responsible for the manufacturing process of sunglasses for pilots and sports drivers. 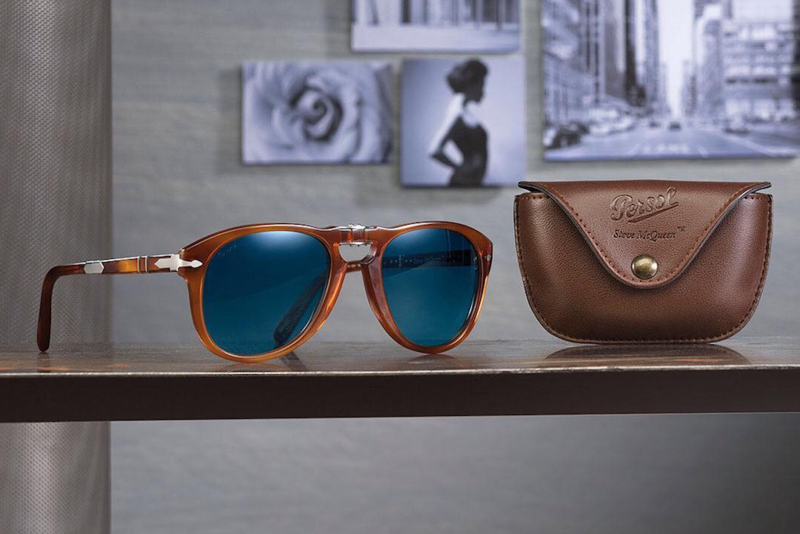 All throughout the years, the consistency and accurate products of the Persol factories have become fashion trademarks of a name which is highly underestimated. The developed sense of elegance and classic style lies at the bottom of this brilliant Italian company. Ladies and gents, 100 years of luxury in just a few simple words! BBC.co.uk states that the first folding glasses can be traced back in the 1800s. 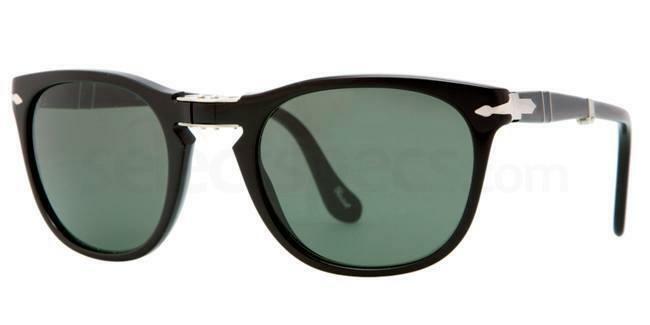 But don’t panic as the Persol PO3028 Folding are the epitome of modernity. Apart from the fact that you can treat your eyes with polarized shady lenses, the black acetate frames prove how cool it can be to wear Persol eyewear. We love the design, the irregular lines of the frames, and the fact that you can just fold them and carry the product wherever you go. It can be used as an alternative to a casual and relaxed outfit, but is not a bad choice if you want to add some coolness to your formal look. 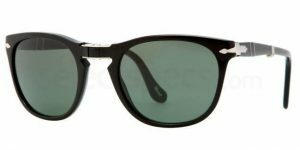 The horn-rimmed design comes in a different shape with the Persol PO7359 S.
Slimmed and elegant, this is the best pair of sunglasses if you want to break the ice and kill the fashion competition. The Italians will always know the secrets of an outstanding look and although this product seems casual and average, we will give you at least two reasons to think about it. The range of colors available on the market are trending with polar brown, light blue, silver or light brown. Second of all, the lightweight and stylish design will be the answer to your fashion dilemma. Small bits of style, highly fashionable for a big fan of oval lenses. This is a brief description of the beautiful Persol PO2388S. 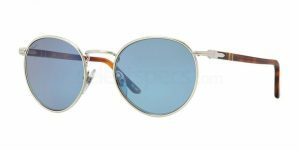 You can feel that summer vibe through the crystal blue lenses while the mix of silver and brown frames are a big hit in the war of looks. How can you dislike a vintage pair which bring your eyes comfort and style to the same table? Make no mistake, the exquisite silver metal bridge and the feeling of transparency generated by the lenses are the highlights of this item. 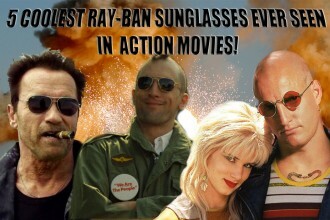 Don’t make the assumption that Persol is not as creative as Ray-Ban or Dolce & Gabbana. 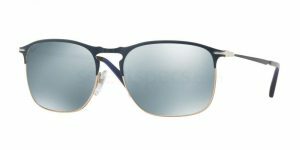 Persol PO2435S is the proof of outstanding stylishness as the design of this product fits a wide range of face shapes while being cool and trendy at the same time. What makes the PO2435S so good for a variety of fashion addicts? The double-bridge assures the glasses won’t slide and you will enjoy their presence all the time. 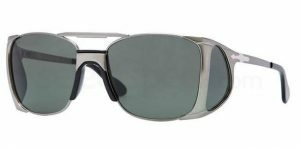 These unique full-rim metal sunglasses are available in two versions both highly extravagant: gunmetal green and mirror gold. Fancy some American brilliance? Take a sneak peek at Polaroid’s fashion!